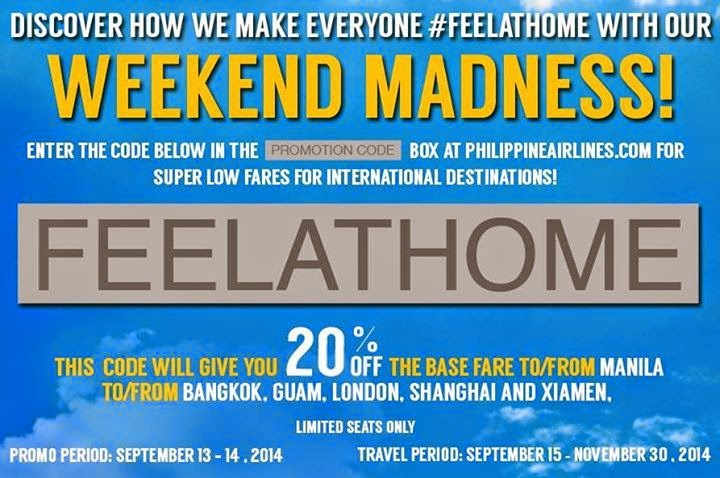 Philippine Airlines Promo 2015: Get low fares for 2015 flights to London, New York and all our int’l and domestic routes! Visit PAL Travel Fair in PNB Financial Center on November 14-16, 2014. Book amazingly low fares for your 2015 travels to London, San Francisco, L.A., New York, Dubai, Australia and to all our international and domestic destinations. See you at the Banking Hall of PNB Financial Center, Macapagal Ave., Pasay City from November 14 to 16, 2014. Open from 9AM to 7PM. 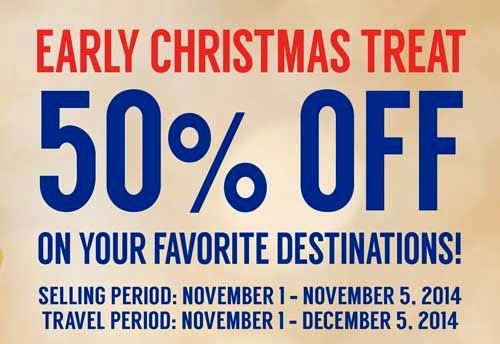 Philippine Airlines Promo 2015: You know what’s better than getting presents from Santa? It’s you surprising your loved ones by coming home for Christmas! Don’t forget to check out our latest #PALPromoFare to Luzon, Visayas, and Mindanao tomorrow just in time for your Christmas vacation! 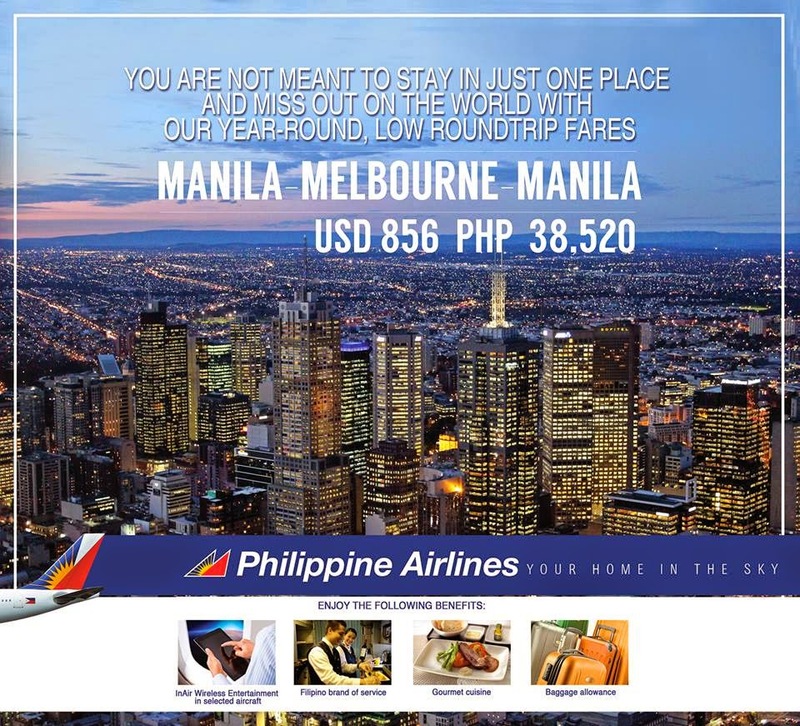 Philippine Airlines Promo 2015: No dream is too big when you're in New York! 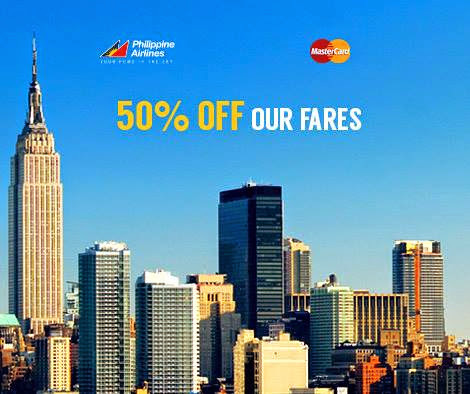 Starting March 2015, Philippine Airlines will start flying to the Big Apple. This is a round trip all-in fare! For just Php 52, 129. Just refer to the details below! 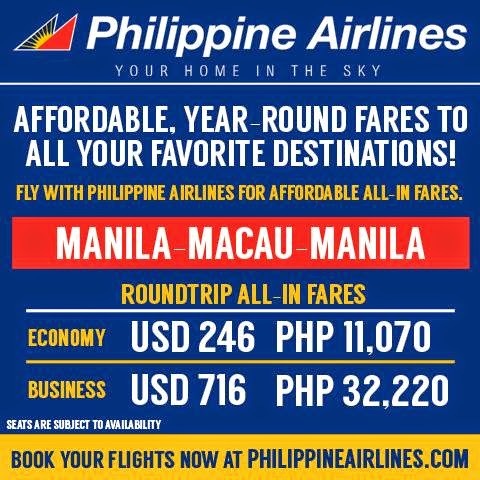 Book your flights now at http://www.philippineairlines.com/! 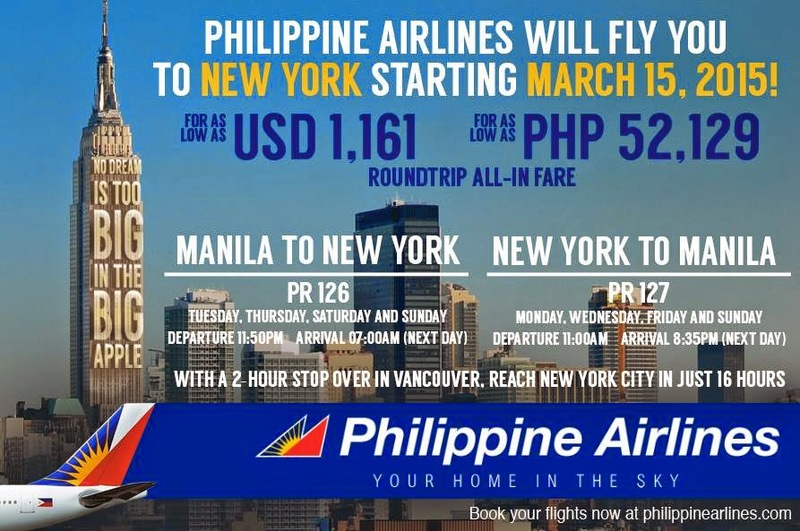 Philippine Airlines Promo 2015: Philippine Airlines is flying to the Big Apple, New York City, on March 15, 2015, marking the carrier's much-awaited network expansion to the US east coast. In announcing the New York service, PAL Chairman & Chief Executive Officer Lucio C. Tan said, "This auspicious start of regular flights to New York will coincide with PAL's 74th founding anniversary." The four-times-a-week service – Manila-Vancouver-New York – will operate at Terminal 1 of New York’s JFK International Airport. PAL will have full traffic rights between Vancouver and New York. The addition of New York will bring to five the total US destinations, following Los Angeles, San Francisco, Honolulu and Guam. The flight to New York – distance of 14,501 kilometers or approximately 16.5 total flying hours – will be PAL's longest route. 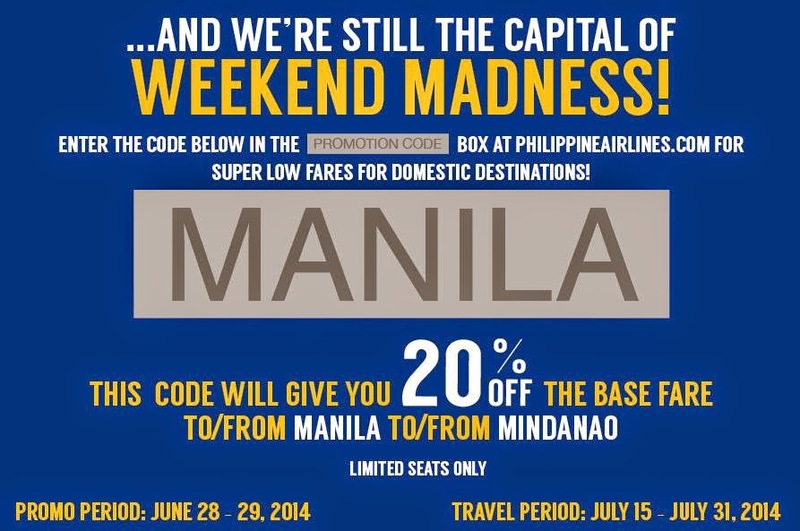 Flight PR 126 departs Manila every Tuesday, Thursday, Saturday and Sunday at 11:50 p.m. Arrival in Vancouver is 8:50 p.m. on the same day. After a two-hour transit stop, the service continues on to New York at 10:50 p.m., touching down at Terminal 1 of JFK International at 7:00 a.m. the following day. The return service, PR 127, departs New York at 11:00 a.m. every Monday, Wednesday, Friday and Sunday, arriving in Vancouver at 1:50 p.m. It departs the Canadian city at 3:20 p.m. and lands back in Manila at 8:35 p.m. the following day. On board, passengers can expect to be pampered with PAL’s signature “at home” in-flight service, which features business class seats that convert to full-flat beds; in-flight entertainment system such as audio-video on demand in business, and gourmet cuisine designed by top international guest chefs. The New York service will have the added benefit of boosting PAL’s Canadian operation. From March 15, 2015, the current daily service between Manila and Vancouver will spike to 11 flights weekly with three departure times from Manila – mid-afternoon, early evening and late evening – providing wider schedule choices to passengers. PAL’s return has been keenly anticipated by the huge Filipino-American communities along the U.S. eastern seaboard ever since the flag carrier pulled out of the region in 1997. About half a million ethnic Filipinos reside on the East Coast, with over 253,000 in the New York-New Jersey metropolitan area, 90,000 in Virginia, 75,000 in Washington, D.C. and environs, and 31,000 in the Philadelphia metro area. Overall, Filipinos on the East Coast account for 15% of the estimated 3.4-million-strong Filipino population in the U.S., comprising a natural base market for PAL. JFK Airport is located at Queens Borough, 15 miles to midtown Manhattan, with convenient connection to the New York subway train system (MTA). 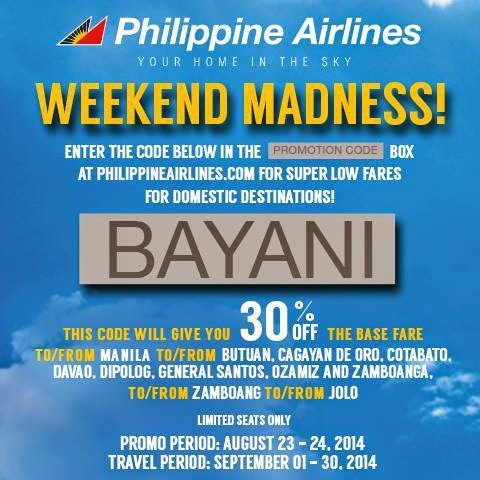 Philippine Airlines Promo: Gather your travel buddies, our latest #PALPromoFare for domestic flights is here! 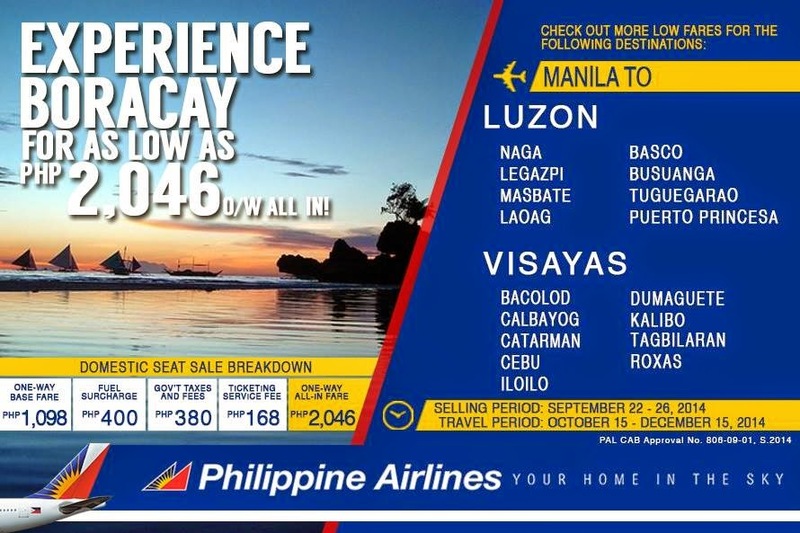 Experience Boracay for as low as Php 2,046 one way all in! We have more low fare for a lot of domestic destinations. 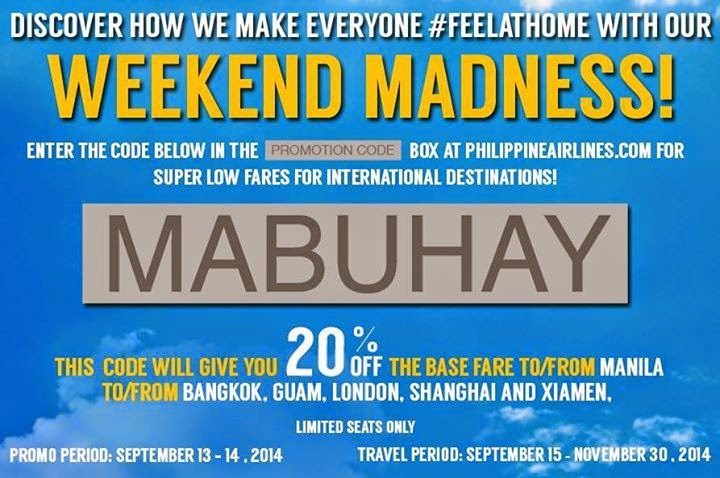 Philippine Airlines Promo: Nothing feels greater than the feeling that you’re home after a long and tiring day. Then let us make you #FeelAtHome wherever you go in the world. 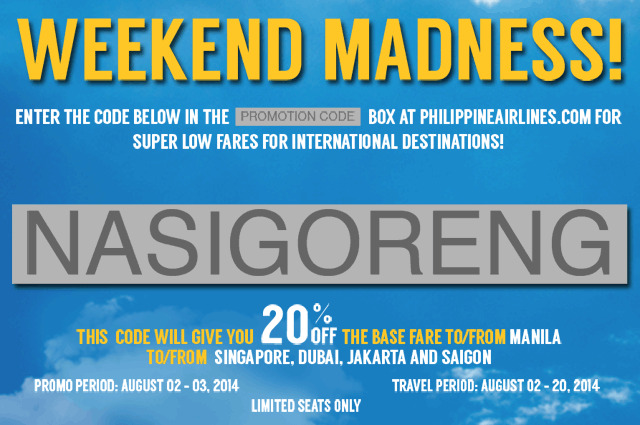 Book a flight with this week’s promo code and get 20% discount to these beautiful destinations! 2. Choose your destination from the list and type in your route. 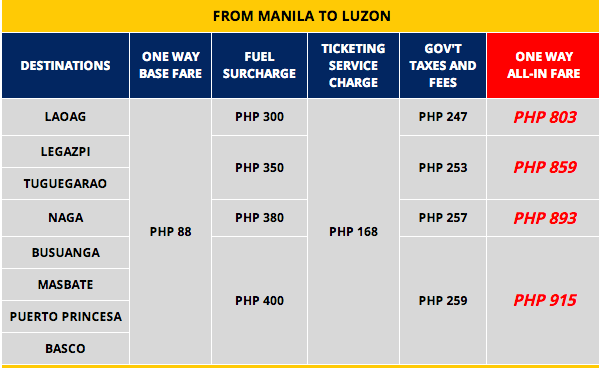 For example, type in Manila to Butuan / Butuan to Manila (round trip). Philippine Airlines Promo: One of the best feelings in the world is the anticipation for reaching your dream destination, and of course, knowing that you #FeelatHome on your flight – comfort, convenience and familial feeling you get when you fly with the flag carrier. You are not meant to stay in just one place and miss out on the world with our year-round, low roundtrip fares! Book your flights to Melbourne today with our year-round, low roundtrip fares! 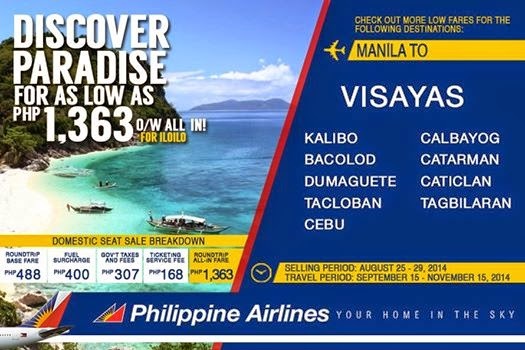 Philippine Airlines Promo: Which destination in Visayas do you love and will not get tired of visiting? 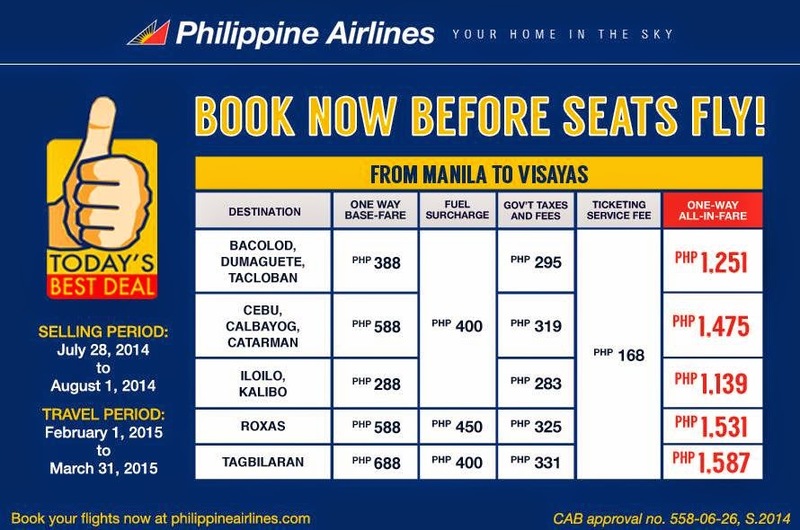 Get low fares to Visayas with our latest #PALPromoFare! Check out Kalibo, Bacolod, Dumaguete, Tacloban, Cebu, Calbayog, Catarman, Caticlan or Tagbilaran. 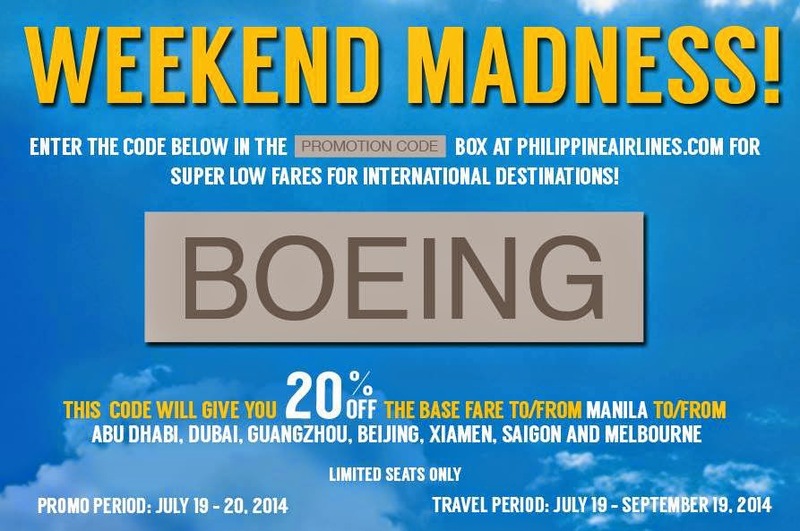 Philippine Airlines Promo: Here's the WEEKEND madness courtesy of Philippine Airlines! You may use the PROMO code below. This will give you a 30% off on Base fare! Mind the destinations that are part of this promo. To/From Manila To/From Butuan, Cagayan De Oro, Cotabato, Davao, Dipolog, General Santos, Ozamiz and Zamboanga. 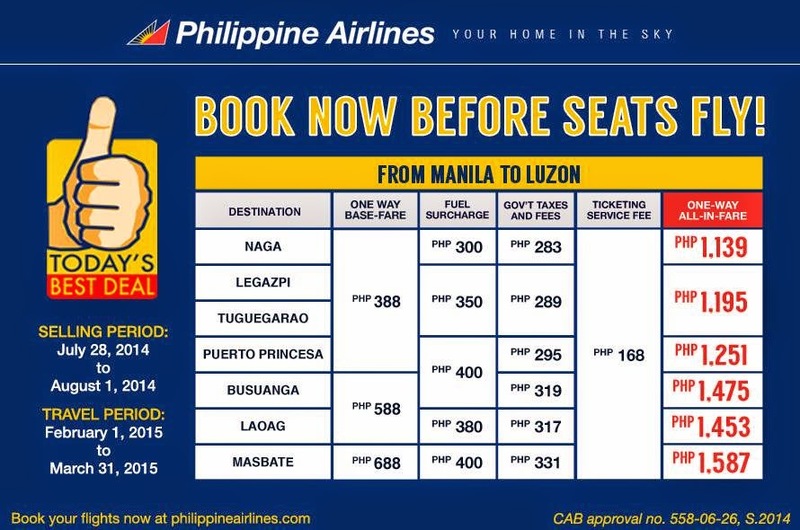 Philippine Airlines Promo 2015: Get our low fares to these destinations in Asia with #PALPromoFare! You can now choose your destinations from Manila to Taipei, Bangkok, Guangzhou or Beijing! 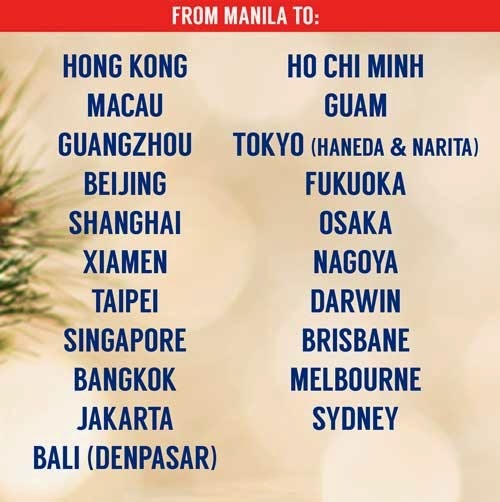 Philippine Airlines Promo: Get 20% off when you book flights to these selected international destinations using this weekend’s promo code! 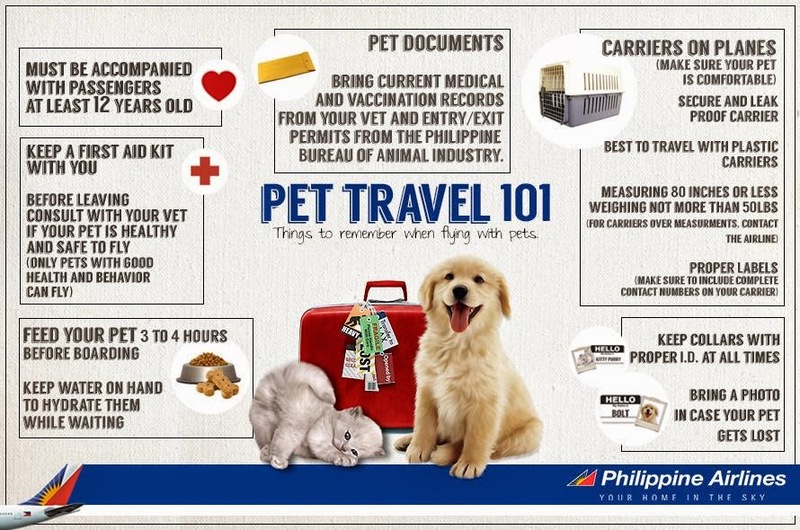 This will be applicable for travels to/from Abu Dhabi, Dubai, Guangzhou, Beijing, Xiamen, Saigon and Melbourne. Philippine Airlines Promo: If you wish to lie and roll over an endless field of lush green pastures like what Maria did in the Sound of Music, then you should definitely include Basco, Batanes on your #PHWanderList. Spend an afternoon in the Racuh a Payaman and enjoy the fresh, cold breeze while viewing Batanes’ majestic sea, cliffs, and mountains. Every angle is pure majestic beauty. 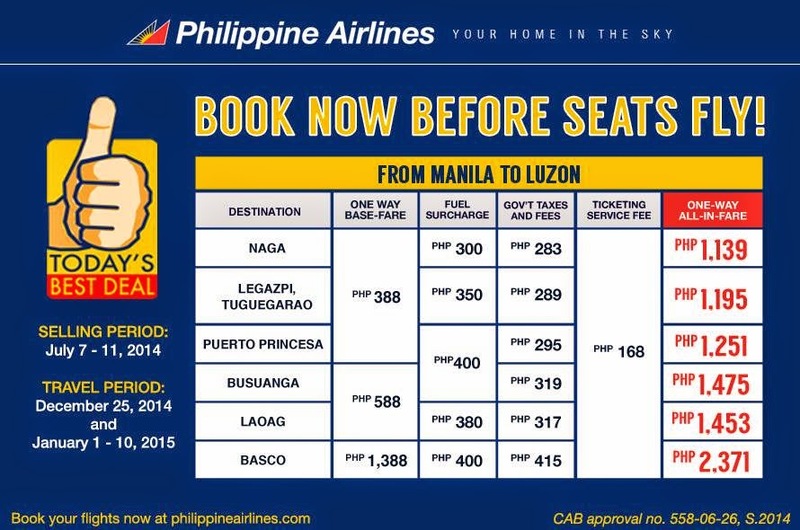 Get low fares to Batanes and to these destinations in Luzon from July 7 to 11, 2014, only from Your Home in the Sky! 2. Choose your destination from the list and type in your route; for example, type in Manila to Davao / Davao to Manila (round trip or one way). Philippine Airlines Promo: Ever wondered why London’s iconic double-decker buses are colored red? Before, buses in London were painted in different colors to signify their route. Since competition among bus companies was so fierce, London General Omnibus Company painted their buses red to make it stand out. And true enough, they became the biggest bus operator in the capital. Get around London and experience riding this London icon! Fly from London and Manila NON-STOP with affordable round-trip all-in fares, available all-year-round! 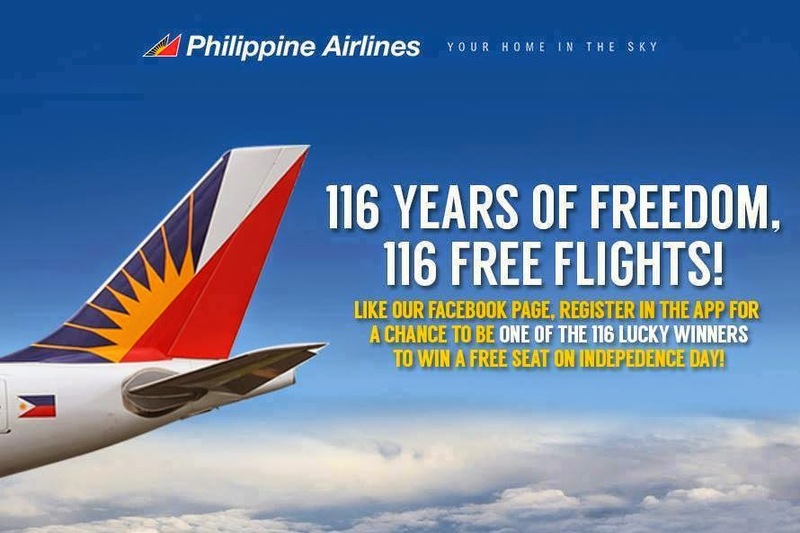 Philippine Airlines Promo 2015 : We take pride in carrying the flag of our great nation - the Philippines, and the Filipino brand of service wherever we fly. In celebration of the #116thPhilippineIndependenceDay, we bring you our INDEPENDENCE DAY SPECIAL ALL-IN LOW FARES to select top international travel destinations. 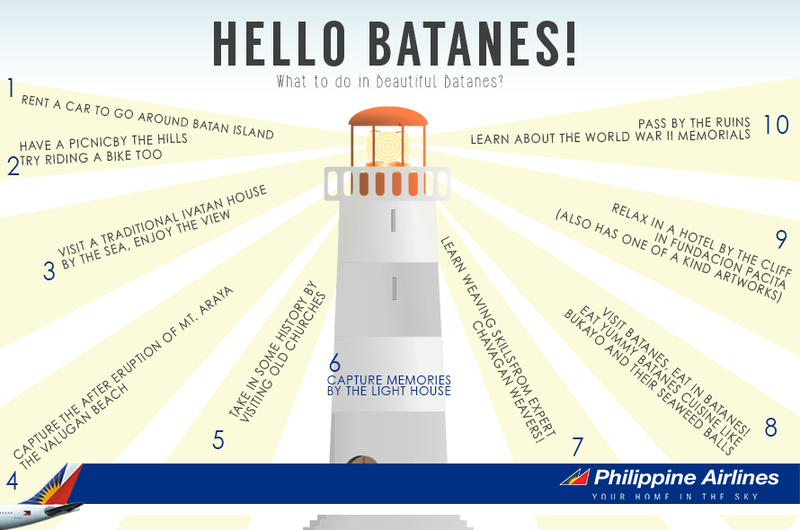 Philippine Airlines Promo: Welcome the new month by exploring new places in Visayas! 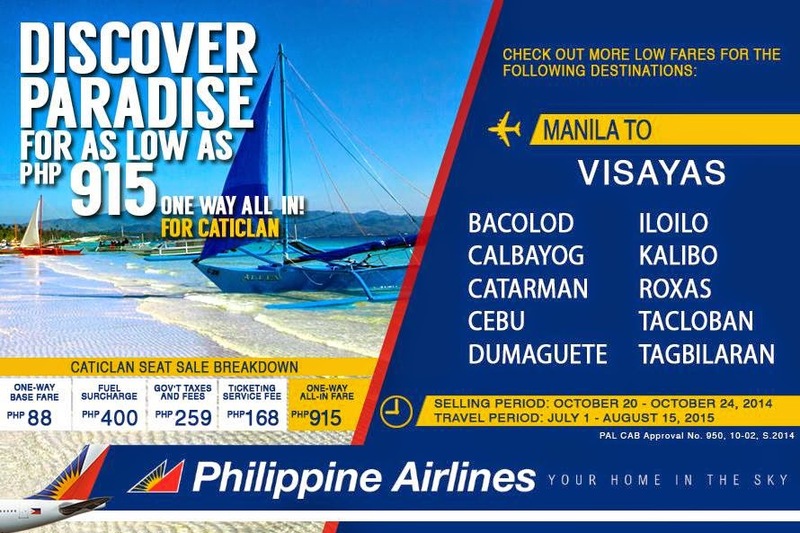 Your Home in the Sky brings you sensationally low fares to Cebu, Iloilo, Tagbilaran, and these destinations in Visayas! Book now before seats fly! 2. Choose your destination from the list and type in your route. 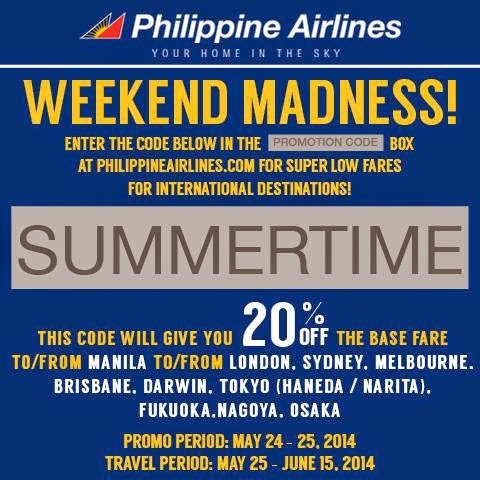 For example, type in Manila to London / London to Manila (round trip or one way). 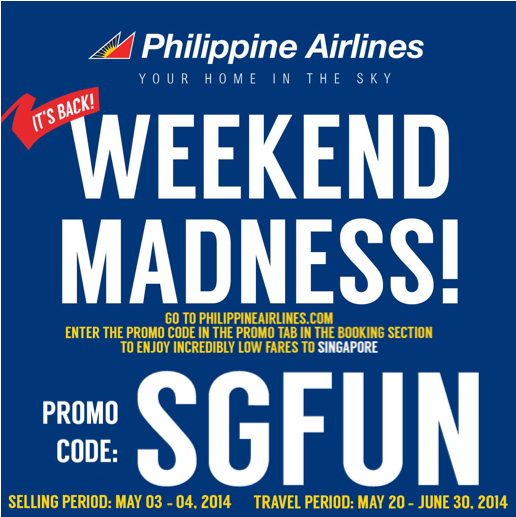 Philippine Airlines Promo: Fly to Abu Dhabi with Your Home in the Sky! Book your flights today! For Business Class, rebooking is free of charge. 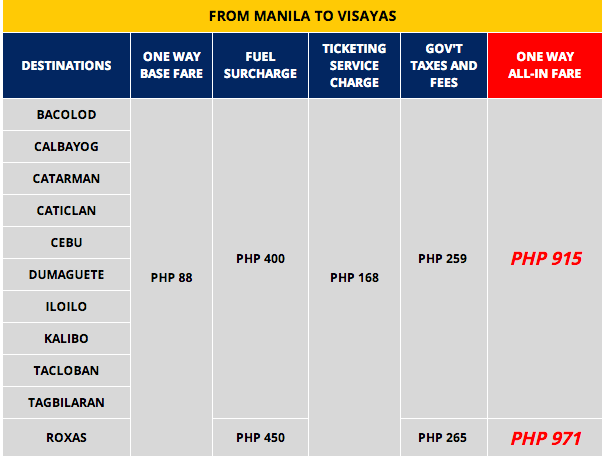 For travel from Manila/Cebu to Asia, refund fee for totally unused tickets is USD 50 and for partially used tickets refund fee is USD 100; For travel from Singapore to Manila, refund fee for totally unused tickets is SGD 65 and for partially used tickets refund fee is SGD 95; For travel from Bali and Jakarta, to Manila refund fee for totally unused tickets is USD 50 and for partially unused tickets refund fee is USD 100; For travel from Beijing to Manila refund fee for totally unused tickets is CNY 320 and for partially used tickets refund fee is CNY 480; For travel from Japan to Manila refund fee for totally unused tickets is JPY 5,000 and for partially used tickets refund fee is JPY 10,000. Maximum validity is twelve (12) months from commencement of travel. 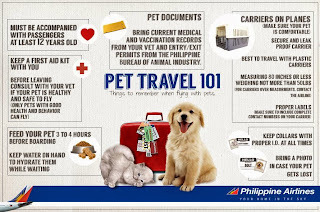 Philippine Travel Tax is applicable to Philippine passport holders, foreigners holding a Philippine resident visa, and foreign tourists or expatriates who have stayed in the Philippines for more than one (1) year. 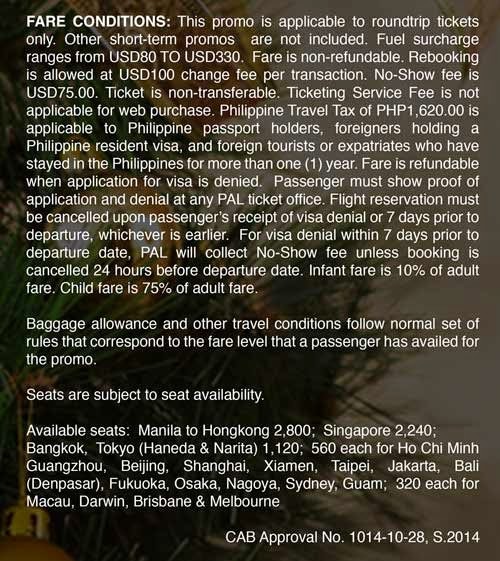 Web purchases do not include Ticketing Service Charge; and passengers have the option to pay for the PH Travel Tax. Quoted International fares are subject to change due to currency conversion rate. Infant fare is 10% of adult fare. Child fare is 75% of adult fare. 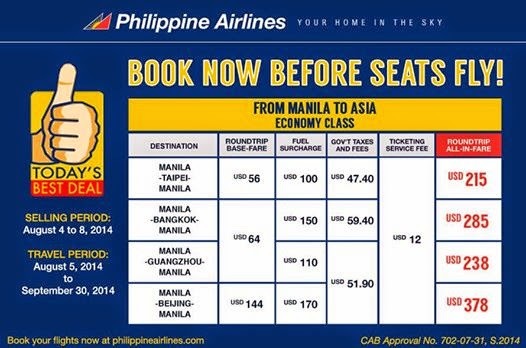 For Business Class, fares come with 125% Mabuhay Miles accrual, No Mabuhay Miles accrual for Economy. Economy: For travel between Manila and Singapore, Jakarta, Bali and Beijing, free baggage allowance is 20KG. 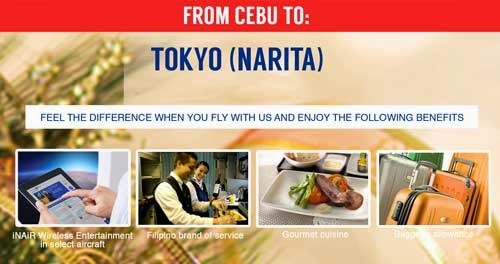 For travel between Manila/Cebuand Japan free baggage allowance is 1pc at 23KG and 2nd pc. at USD 30. For travel between Abu Dhabi and Manila free baggage allowance is 30KG. Business: For travel between Manila and Singapore, Jakarta, Bali and Beijing, free baggage allowance is 30KG. 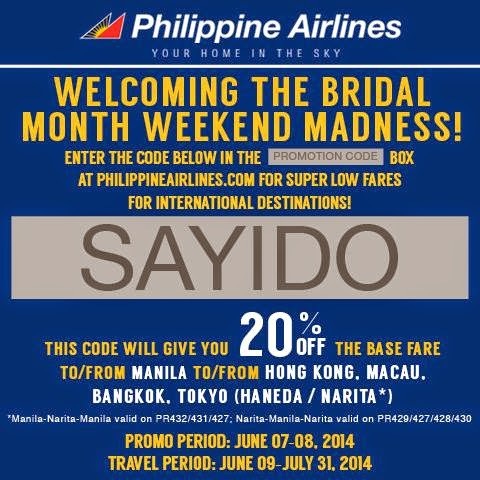 For travel between Manila/Cebu and Japan, free baggage allowance is 2pcs. at 32KG each pc. 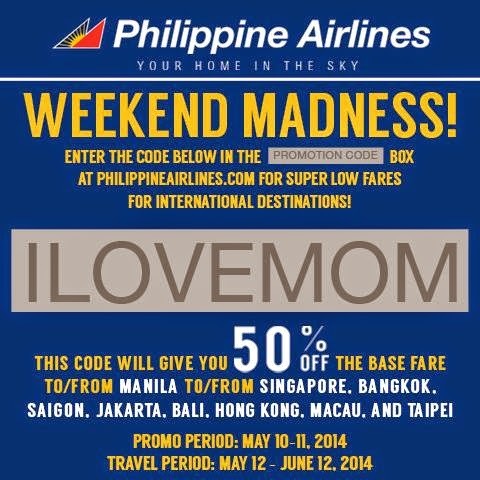 Philippine Airlines Promo: This Mother’s Day, it’s your turn to make your mom feel special! Surprise her with a trip to one of these must-visit destinations in Asia and make this weekend her most special one yet! Just follow the steps below and soon, your mom will be enjoying the sights in Singapore, Bangkok, Saigon, Jakarta, Bali, Hong Kong, Macau, or Taipei! 7. Greet your mom a happy Mother’s Day and surprise her with this trip! 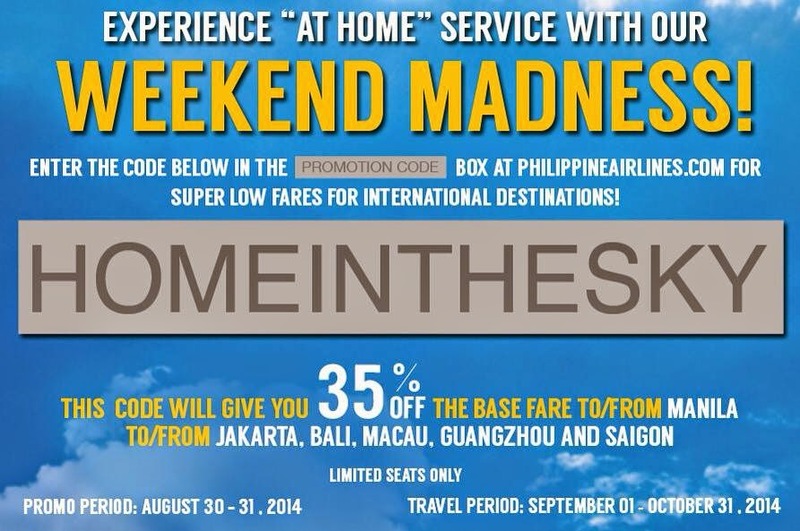 Philippine Airlines Promo: The Madness is Back!!! Just follow the steps below and soon, you'll be visiting Marina Bay Sands, shopping at Orchard road and enjoying Singapore's signature dishes! 7. Pack your stuff and enjoy SINGAPORE! 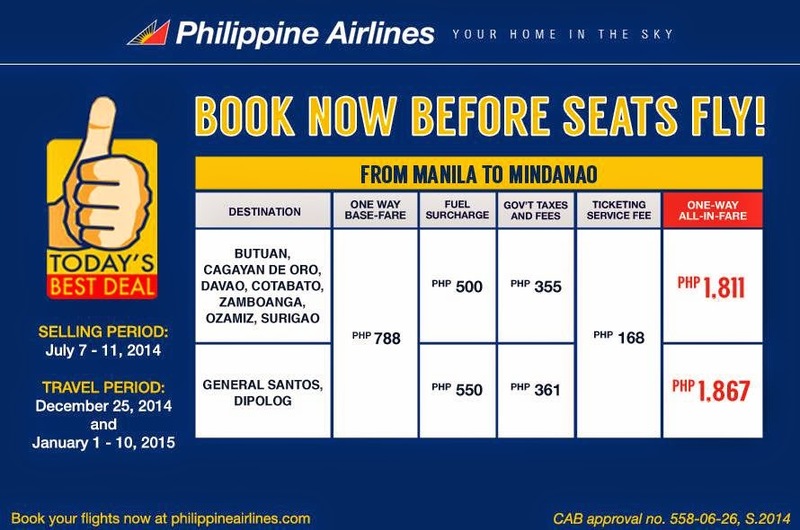 Philippine Airlines Promo: Travel down south and visit Mindanao’s top tourist destinations! 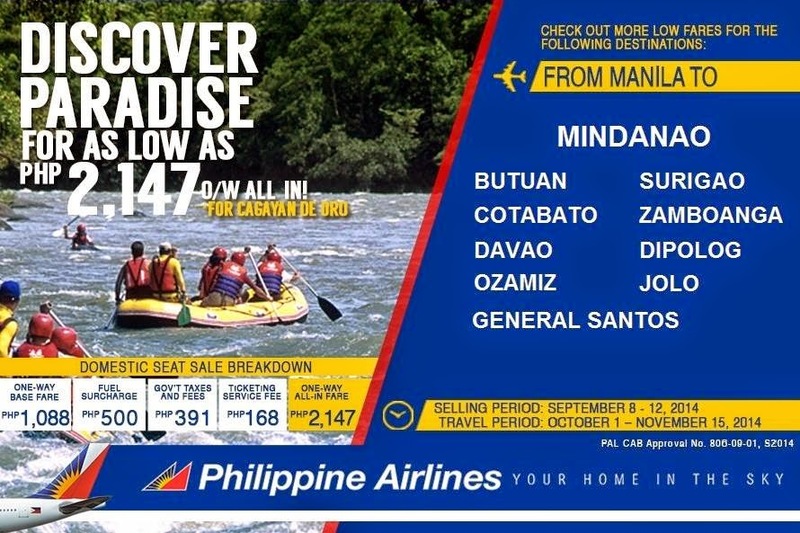 Your Home in the Sky brings you another round of awesome seat sale to Davao, Cagayan de Oro, Dipolog, and other wonderful destinations in Mindanao! 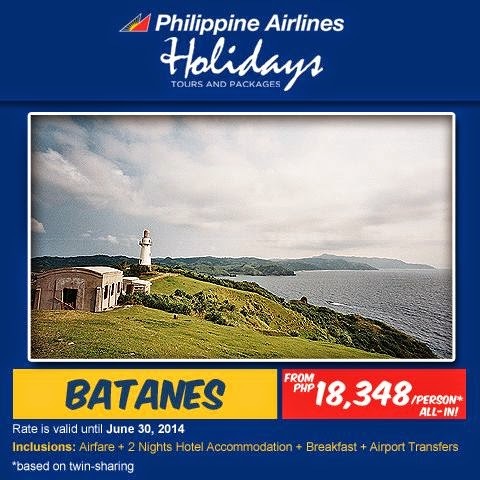 Philippine Airlines Promo: Reward yourself and escape to the beautiful paradise of Batanes! Wander its vast and lush grasslands surrounded by beautiful pristine waters. Everything is unadulterated and picturesque--you would think you had travel back in time when life was much simpler. 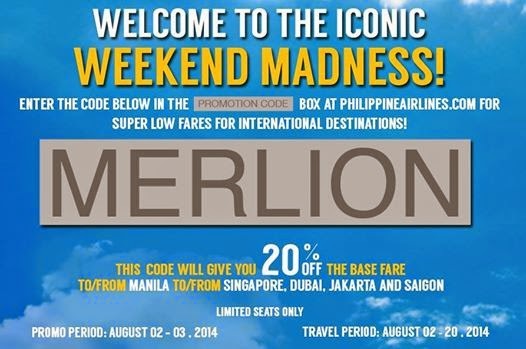 Avail of PAL Holidays’ amazing deals now! Book now or call (+632) 812-8596 / 812-9075 / 801-3449! 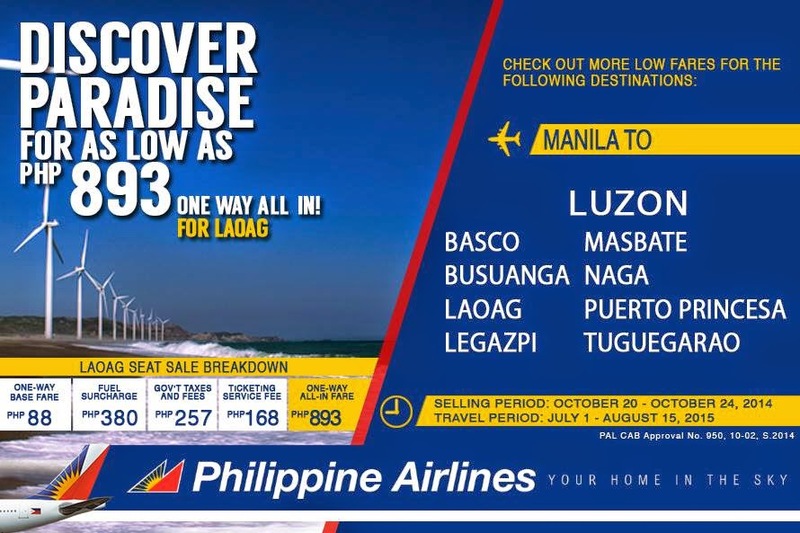 Philippine Airlines Promo: Explore the Philippines like never before! Travel to must-visit destinations in Mindanao for irresistibly low fares! Your Home in the Sky brings you our special Easter Promo on our domestic flights!